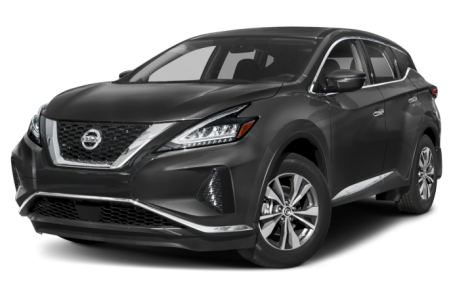 The 2019 Nissan Murano is a mid-size SUV that seats five passengers. Maximum cargo capacity is 70 cubic feet with the rear seats folded down. It competes with the Honda Pilot, Toyota Highlander, and Mazda CX-9. Four trims are available: S, SV, SL, and Platinum.